Acrostic Poems are a fun and simple way to introduce poetry to children and some pet animals have very short names making them the perfect starting place. Here's a nice acrostic poem idea for beginners, using the first letters of the word FISH. Choose from four printables, which also make good writing or drawing frames. Here's a more challenging acrostic poem printable featuring the word 'GOLDFISH'. Perhaps the children can write an acrostic poem all about their pet goldfish if they have one? 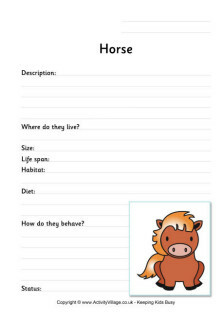 Younger children can use the printables as writing or drawing frames too.